Whether they're filling in the "30-million-word gap" or increasing the number of "conversational turns" they have with adults, a group of kids at a Virginia childcare center were exposed to an average of 1,100 more words and 59 conversational turns by the time they'd participated in a four-month pilot study. The pilot used a "talking pedometer" that records the conversation a child has. The study, done in two classrooms at Rappahannock County's Child Care & Learning Center, was aided by Teaching Strategies, which offers professional development to help teachers increase interactive talk. Along with specific curriculum provided by Teaching Strategies, participants applied natural language technology, called Language Environment Analysis (LENA), to capture and analyze the speech, including the number of words heard by the child and the number of back-and-forths in that conversation — when the child waits for and responds to the caregiver. 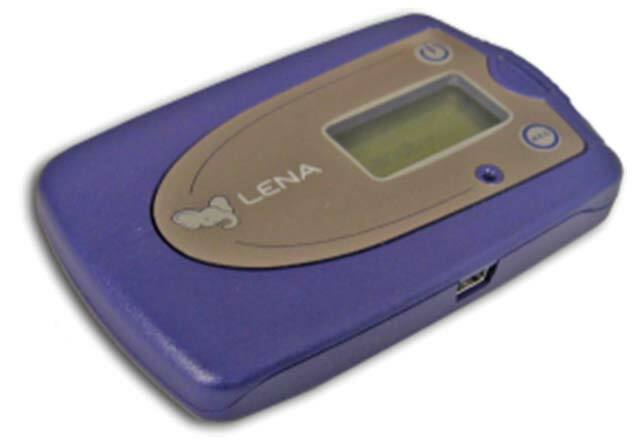 The kids in one classroom wore small LENA devices in a pocket of a vest one day a week. The audio recorded was analyzed and put into reports reviewed by the educators working with a Teaching Strategies coach. The coaching was intended to help staff learn techniques for increasing their linguistic interactions with the children. "The reports really showed teachers that throughout a whole day, there are multiple times when children are getting changed or sitting down for a meal or a snack, and a lot of those times engagement can be lost if you aren't being cognizant of how you are using that time or interacting with that child," noted Jennifer Tubb, the Teaching Strategies research associate who coached the educators during the pilot, in a blog article about her work. "If it wasn't for LENA, I wouldn't have picked up that one of my students didn't communicate as much as the others," said one educator who participated in the pilot, in a press release. "I am thrilled to know how I can make a difference with what I've learned through this program." "The program was an eye-opener for us," added Lisa Pendleton, director of the center, in the study. "The research results show that children learn not just through our lesson plans, but also through our conversations about what we are doing while we do it."